Are you searching for quality carpet cleaning services with quick drying times, carpet stain removal, or pet odor removal from carpet in Detroit MI? 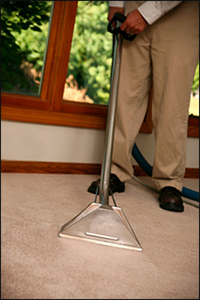 Capital Carpet provides professional, quick drying carpet cleaning services for Detroit MI, we can remove difficult pet odors and stains from carpeting. Capital Carpet, Inc. has specialized in carpet cleaning, carpet stain removal, and pet odor removal from carpeting for over 36 years and has provided outstanding customer service for both residential and commercial customers. We will only use the safest cleaning products and the most up to date carpet cleaning equipment to insure a quality deep clean that will dry quickly. Excellent carpet cleaning results are possible with proper technique and chemical developments used in residential and commercial carpet cleaning. Our technicians will move most furniture for you and we will never have hidden fees. Our well trained employees can treat many hard to remove carpet stains that other carpet cleaning companies struggle with. Most of our employees have been with our company for over 10 years and understand how to get the most out of our carpet cleaning equipment. On most cleaning jobs the carpet drying time is complete in a few hours. Is your carpet, area rug, Oriental rug or upholstered furniture looking dull and lifeless? Regular cleaning can maintain the overall look of your home, but a deep clean by professionals breathes new life into your most treasured pieces and gives your carpet that fresh look it had when it was first installed. 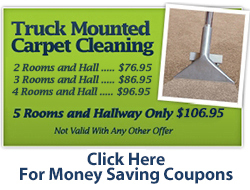 Call Capital Carpet today for carpet cleaning in Detroit MI. 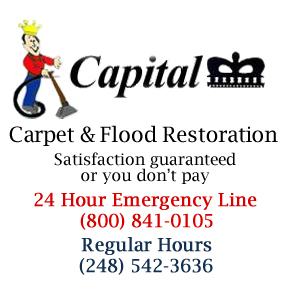 If you are looking for professional carpet cleaning with quick drying times in Detroit, MI call Capital Carpet today for expert carpet cleaning services including spot and stain removal, pet odor removal, and area rug cleaning. Testimonial: "Very satisfied, will call again"
Testimonial: "Still use Capital after all these years"
Testimonial: "Great Job we always use Capital"
Testimonial: "Matthew is a excellent service man. He explains everything in detail and is very professional. Please send Matthew to me for all my jobs. Thank You"
Testimonial: "I Love Capital Carpet. Always use and refer them! Thank you!"